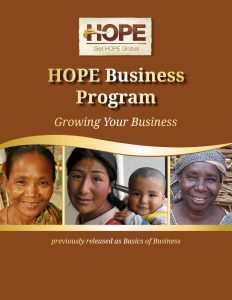 Get HOPE Global is proud to release newly revised editions of all three business training programs. We have completely re-written the Bible lessons to strengthen this crucial part of the curriculum. The new Bible lessons are very engaging and easy to use. We also modified the content of “Girls Empowerment Training” to include female students of many ages, both teen girls and adult women. Because of these changes, the program titles have also been updated. 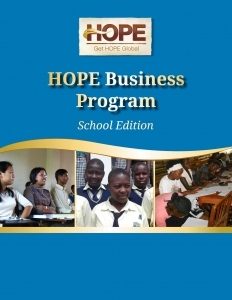 Welcome to the new HOPE Business Programs. 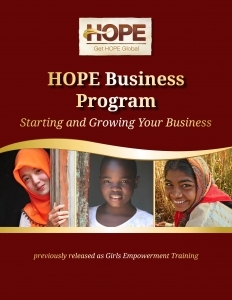 Choose from Starting and Growing Your Business, Growing Your Business, and School Edition. You can read more details about each option and view sample lessons on the program overview pages. These are still highly interactive training programs that contain a variety of teaching activities coupled with weekly Bible character lessons. They are powerful tools to offer vulnerable women and students a voice, a choice, and a chance for a better life. All three programs are now available for purchase in our Store. The Train the Trainer video series is also being revised and will be released soon. 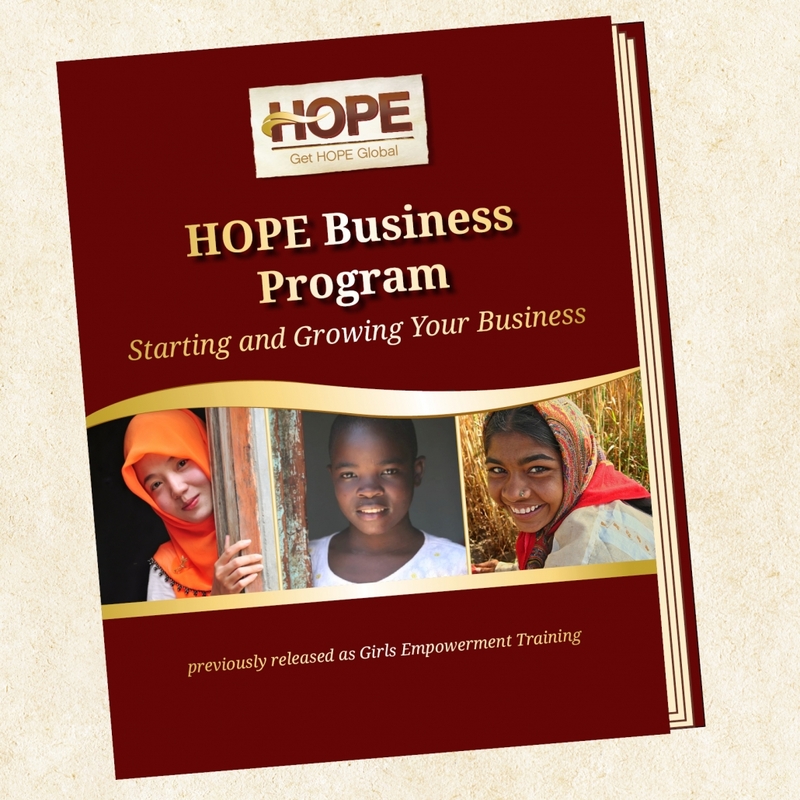 We pray that HOPE Business Programs will continue to be valuable resources for use with impoverished women, girls, and students around the world.